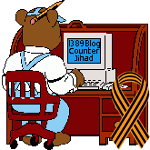 Terror in school — 1389 Blog - Counterjihad! Our view is simply that Israel has the right to defend itself. Next post: What does a post-government future look like?